This 204,570 S.F. project was designed to meet the added residential needs of a growing community. It includes a 2-story, 28,100 S.F. condominium; 4-story, 111,500 S.F. of affordable housing; two retail buildings totaling 53,120 S.F. and two restaurant buildings totaling 11,850 S.F. 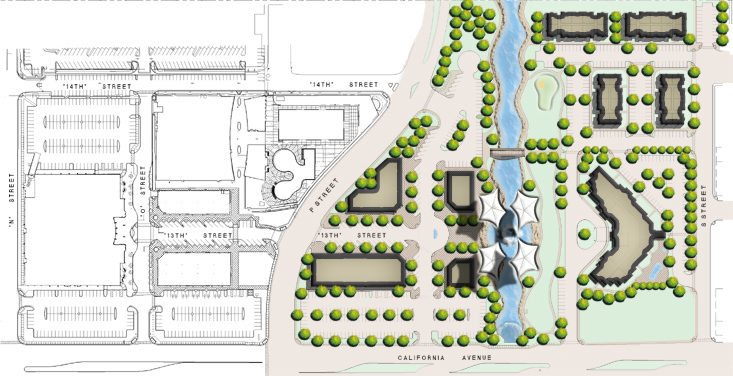 The design also calls for a Tent Pavilion with seating surrounding a fountain, an open plaza, and a jogging trail.